As part of the Nissan Intelligent Choice program, every pre-owned car will go through a quality check of 167-points and unique vehicle inspection. All pre owned cars from Nissan Intelligent Choice will be tested and certified by technical experts of Nissan. 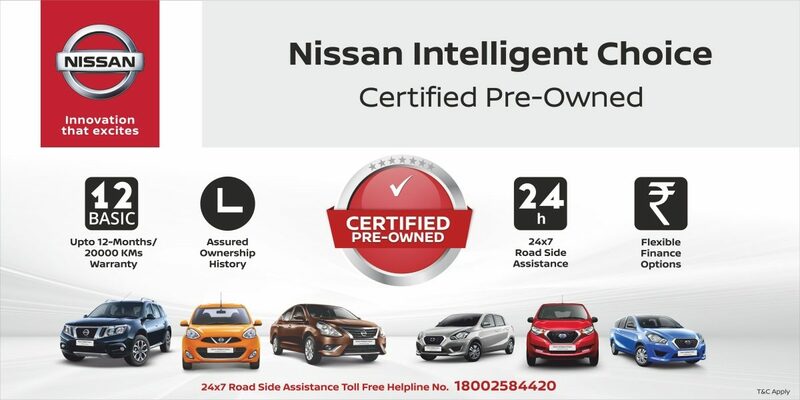 Additionally, pre-owned car customers of NissanIntelligent Choice can avail the dedicated 24x7 Road side assistance (with no additional cost) along with the attractive warranty benefits.